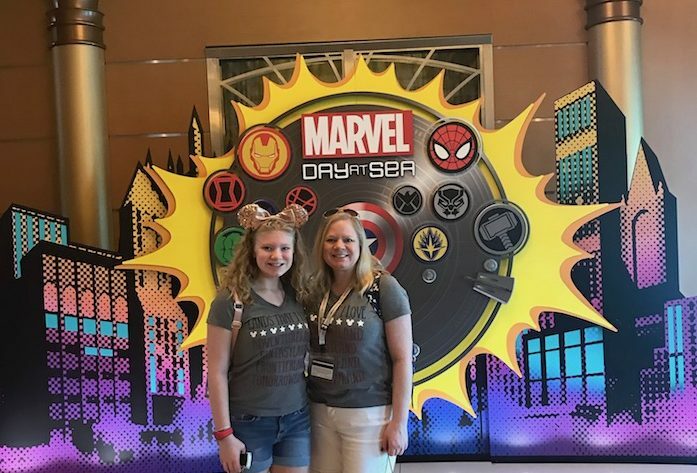 Join our head writer Kimberly Masimore as she shares 7 reasons a Marvel Day at Sea with Disney Cruise Line should be on your Disney bucket list!Disney Cruise Line recently invited WDW Magazine to experience Marvel Day at Sea aboard the Disney Magic. 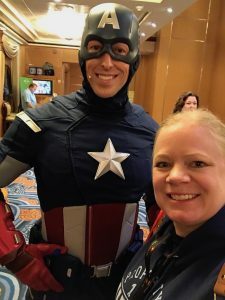 I had the honor of representing WDW Magazine on this adventure and to say that it was an incredible experience would be an understatement.This was my 2nd Disney Cruise, and if it’s possible, I’ve become even more addicted to cruising with Disney. 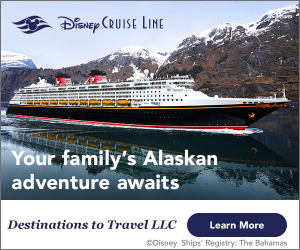 You have the Disney service you come to know and love from the parks, combined with a relaxing cruise filled with amazing food and your favorite Disney characters. What’s not to love? Marvel Day at Sea logo. Photo by Kimberly Masimore. I was not the biggest Marvel fan in the universe before this cruise. I knew the main players (Captain America, Spiderman, and of course, Groot) but couldn’t really tell you who Hawkeye was (sorry all of you major Marvel fans out there!) All of that changed during this cruise. Even my daughter (who I couldn’t even bribe to watch “Avengers: Infinity War” and “Black Panther” with me before we sailed) is begging to watch Marvel movies! 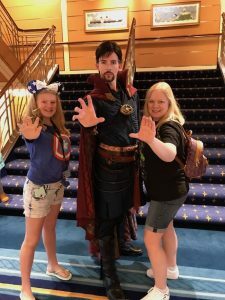 Here are 7 reasons why Marvel Day at Sea should be on your Disney Bucket List. MARVELous Announcements: Disney loves a good storyline and Marvel Day at Sea is no exception. Frequently throughout the day they make Marvel related announcements over the intercom. For example, one such announcement requested Thor to come pick up his luggage since no one was able to carry it. It’s small details like this that help you to get immersed in the experience. Random Heroic Encounters: Characters freely moving around the relatively small space of a cruise ship equals multiple and frequent character experiences. These weren’t simply “let’s take a picture” but were highly interactive. I ran into Star-Lord about a half a dozen times. Each time we spoke of Rocket and the fact that he was nowhere to be found. The more you know about specific characters (Star-Lord, Gamora, Hawkeye, Black Widow, Captain America, Spiderman, Thor, Loki, Black Panther, etc) the more interactive your experiences will be. Meeting Gamora. Photo by Kimberly Masimore. Meeting Hawkeye. Photo by Kimberly Masimore. Meeting Dr. Strange. Photo by Kimberly Masimore. Meeting Star Lord. Photo by Kimberly Masimore. Meeting Spiderman. Photo by Kimberly Masimore. Meeting Captain America. Photo by Kimberly Masimore. Ticketed Heroic Encounters: Although these don’t necessarily cut your wait time down, it guarantees you the chance to meet one of your favorite characters. We waited about 45 minutes to meet Spiderman, Black Panther, and Ironman during the Marvel New York City encounter. You can reserve these ticketed events ahead of your voyage on https://disneycruise.disney.go.com. The reservations are free. If you are unable to reserve in advance, make sure you go to Guest Services when you board. 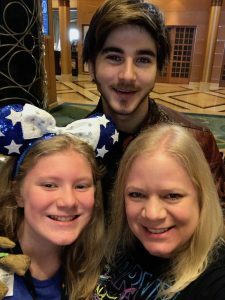 Scheduled Heroic Encounters: One of the things we love most about a trip to Walt Disney World is meeting our favorite characters. Not only can you meet your favorite Disney characters like Mickey, Goofy, Donald and friends decked out in their most heroic attire, but there were also scheduled encounters with Captain Marvel, Thor, Loki, and Captain America. Heroic Deliciousness: One of the best parts of a cruise is the food. If you haven’t been, you’ll have to trust me on this, but you need to pace yourself because everything tastes so good. Marvel Day at Sea not only had amazing food, but it was themed. 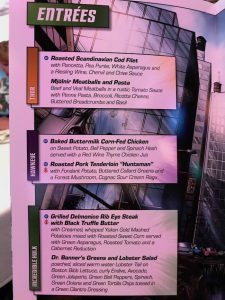 Disney Imagineers and chefs took months to create the menu. 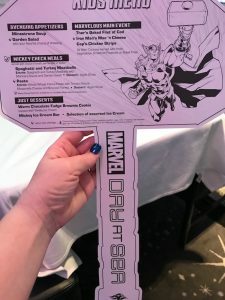 Marvel Day at Sea kids menu. Photo by Kimberly Masimore. 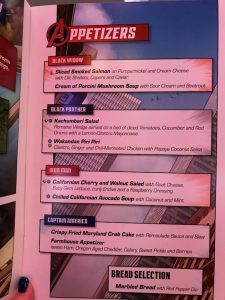 Marvel Day at Sea adult menu. Photo by Kimberly Masimore. 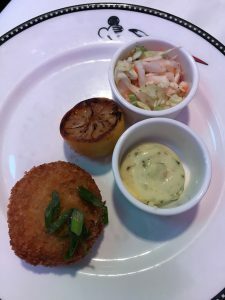 Marvel Day at Sea – crab cake appetizer. Photo by Kimberly Masimore. Entrees were categorized under Thor, Hawkeye, and Incredible Hulk. 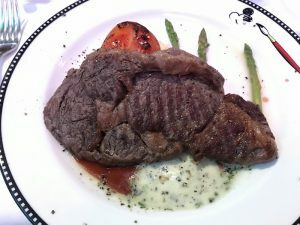 Here I went with the Grilled Delmonico Rib Eye Steak with Black Truffle Butter. It was cooked perfectly and almost felt as strong as the Hulk after eating it. 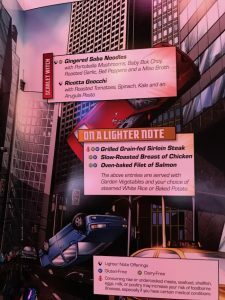 Marvel Day – steak entree. Photo by Kimberly Masimore. For dessert, I had the Bounty Hunter, a “pastry treasure chest filled with Raspberry and Custard, hidden under fresh Raspberries and topped with a Key Lime dome.” Soooo good! 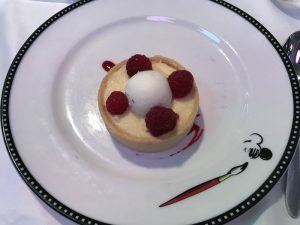 Marvel Day at Sea – raspberry dessert. Photo by Kimberly Masimore. Later that evening at the Ravagers Club (named after the group of space pirates from Guardians of the Galaxy Vol. 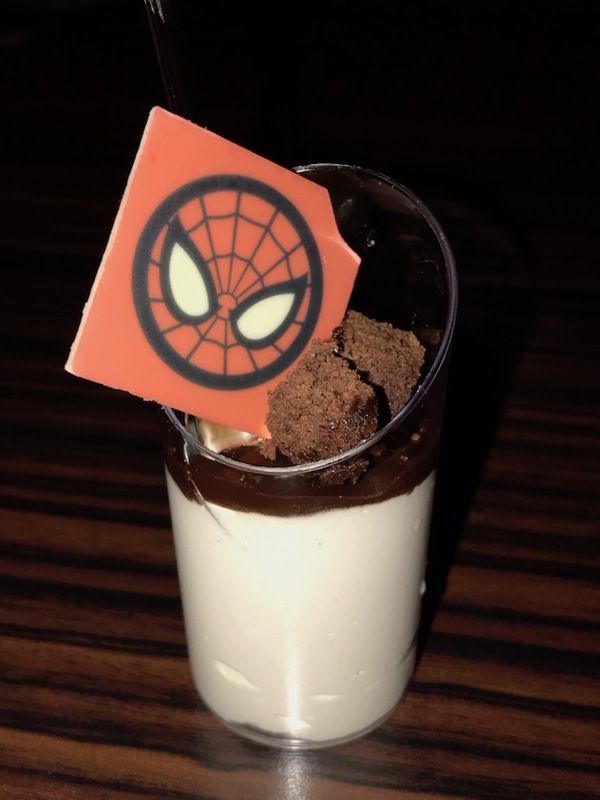 2”) I sampled a tasty Spiderman dessert while dancing the night away to Star-Lord’s mix tapes. 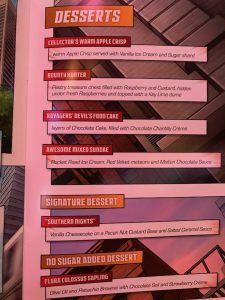 Marvel Day at Sea – Ravagers Club dessert. Photo by Kimberly Masimore. 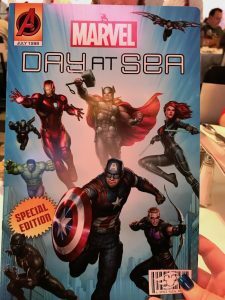 Heroic Opportunities: Let’s say you enter the Marvel Day at Sea cruise like me, a Marvel novice, no need to worry, Disney has you covered. At 10:30 AM I attended Marvel Origins at the Buena Vista Theatre. This was a great opportunity for someone like me to learn some background on the characters I would meet throughout the day. 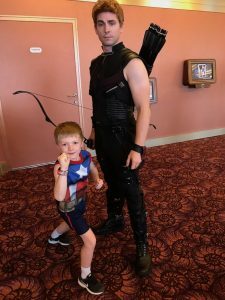 For the diehard Marvel fan, you would probably know everything they have to say at Marvel Origins, but that’s okay because they had a Marvel Super Fan Challenge and Marvel Trivia that would be perfect for a Marvel expert. Disney really thought of all of the guests when planning the Marvel Day at Sea itinerary. 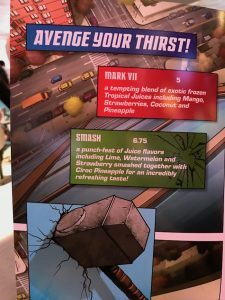 Stark Industries Main Event: Tony Stark is known for his inventions and the Marvel: Heroes Unite main evening show on Deck 9 did not disappoint. It was full of special effects, fireworks, and the characters you came to know and love throughout the day. The storytelling was top notch and the energy was inspiring. This show had everything you love from Disney- storytelling, heart-pounding moments, and a grand finale that will have you clapping until your hands hurt. It was truly spectacular. Marvel Day at Sea on Disney Cruise Line. Photo by Kimberly Masimore. Marvel Day at Sea is a unique opportunity that you can’t find anywhere else. It gives you the chance to dress up as your favorite hero or come as you are and just enjoy the experiences. This is an amazing chance to explore a whole other world and whole other side of yourself. 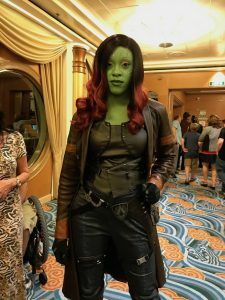 Words may not do this experience justice, so take a look at this sneak peek of a Marvel Day at Sea that I put together.https://www.youtube.com/watch?v=4iWDbObRmuMYou don’t have to be a huge Marvel fan to enjoy a Marvel Day at Sea cruise. Sure, it might help to know who some of the major players are, but the energy onboard was so electric that I couldn’t help getting caught up in it. You might even end up like my daughter and I, yearning to learn more about the Marvel universe. And if not, there’s still a lot of Disney and relaxing to experience aboard the Disney Magic. Of course, it never hurts to open your mind and expand your horizons. 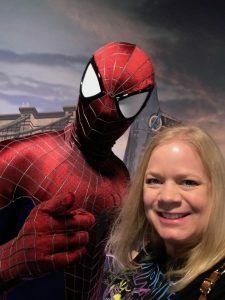 Now excuse me while this newly created Marvel fan prepares for her next Marvel movie marathon.Thank you so much #DisneyCruiseLine for including #WDWMagazine to experience #MarvelDayatSea on the #DisneyMagic. We are humbled and honored for the opportunity.Check out out May 2019 issue for a full recap of Marvel Day at Sea! Subscribers, assemble! Get your copy of WDW Magazine today!